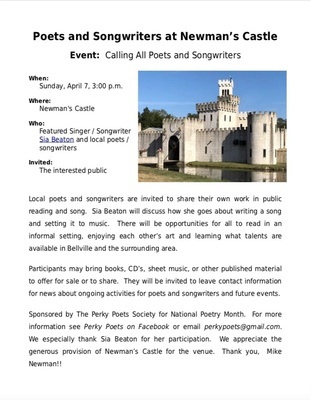 Local poets and songwriters are invited to share their own work in public reading and song. Sia Beaton will discuss how she goes about writing a song and setting it to music. There will be opportunities for all to read in an informal setting, enjoying each other’s art and learning what talents are available in Bellville and the surrounding area. Participants may bring books, CD’s, sheet music, or other published material to offer for sale or to share. They will be invited to leave contact information for news about ongoing activities for poets and songwriters and future events. Sponsored by The Perky Poets Society for National Poetry Month. For more information see Perky Poets on Facebook or email perkypoets@gmail.com. 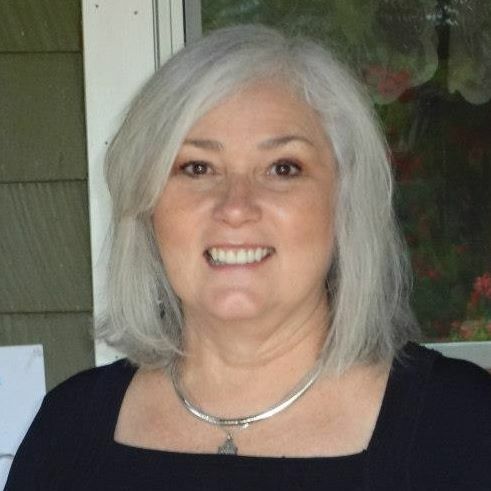 We especially thank Sia Beaton for her participation. We appreciate the generous provision of Newman’s Castle for the venue. Thank you, Mike Newman!! Free event. No admission charge.